WOOD LOOK TILES There are 35 products. Ceramic Floor Tiles Apolo Cerezo 45x45cm, 1st Grade. Price per m². Ceramic Floor Tiles Apolo Nogal 45x45cm, 1st Grade. Price per m². Ceramic Floor Tiles Awora 22,5x86cm, 1st Grade. Matt Finish. Price per m². Ceramic Floor Tiles Baula Arce 22,5x86cm, 1st Grade. Matt Finish. Price per m². Ceramic Floor Tiles Baula Nogal 22,5x86cm, 1st Grade. Matt Finish. Price per m². Ceramic Floor Tiles Baula Roble 22,5x86cm, 1st Grade. Matt Finish. Price per m². Ceramic Floor Tiles Baula Teka 22,5x86cm, 1st Grade. Matt Finish. Price per m². Ceramic Floor Tiles Baula Turba 22,5x86cm, 1st Grade. Matt Finish. Price per m². Porcelain floor tiles Cedro Arce 23x120, STD quality. Matt finish. Price per m². Porcelain floor tiles Cedro Caoba 23x120, STD quality. Matt finish. Price per m². Porcelain floor tiles Cedro Ceniza 23x120, STD quality. Matt finish. Price per m². Porcelain floor tiles Cedro Leño 23x120, STD quality. Matt finish. Price per m². 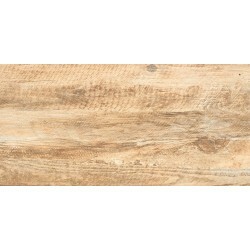 Porcelain floor tiles Cedro Roble 23x120, STD quality. Matt finish. Price per m². Ceramic Floor Tiles Foresta Gris 22,5x86cm, 1st Grade. Matt Finish. Price per m². Ceramic Floor Tiles Foresta Nogal 22,5x86cm, 1st Grade. Matt Finish. Price per m². Ceramic Floor Tiles Foresta Roble 22,5x86cm, 1st Grade. Matt Finish. Price per m². Ceramic Floor Tiles Foresta Teka 22,5x86cm, 1st Grade. Matt Finish. Price per m².